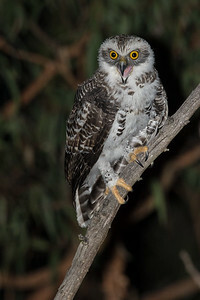 A Powerful Owl owlet (chick) trilling to attract its parents. 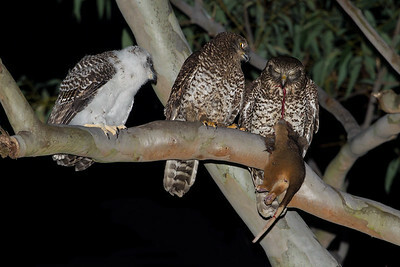 Male Powerful Owl with Common Ringtail Possum prey. 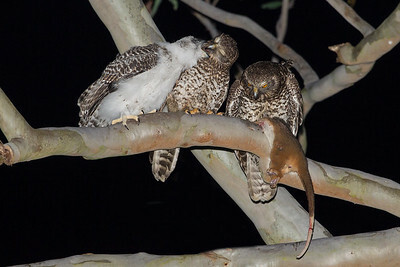 Juvenile (owlet/chick), female and male Powerful Owl with prey. 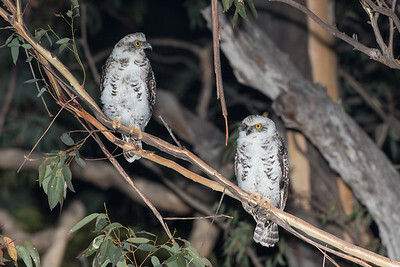 Female and male Powerful Owls. 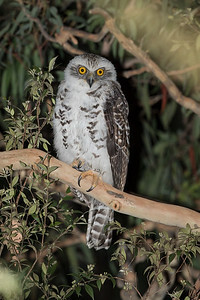 Juvenile (chick/owlet), female and male Powerful Owl. 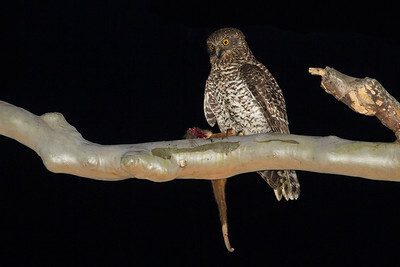 Female feeding owlet. 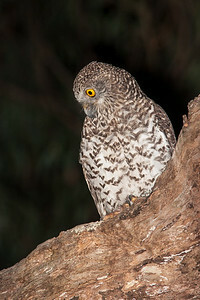 A male Powerful Owl looking at the ground. 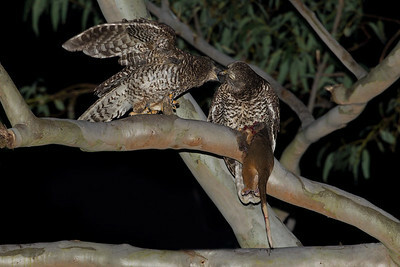 Female and male Powerful Owl at night with Sydney's ambient streetlights and light cloud cover emitting the light. 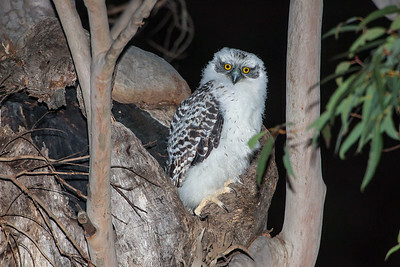 An owlet/chick emerges from the hollow for the first time. 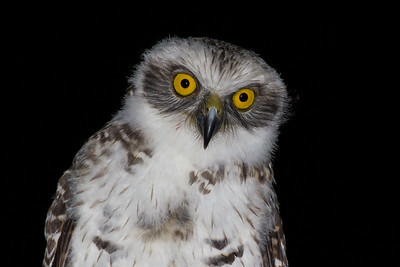 An owlet of about 6 months of age. 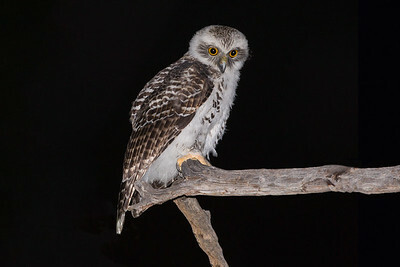 An owlet checking out things. 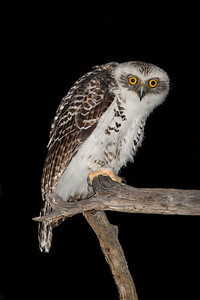 An owlet checking me out. 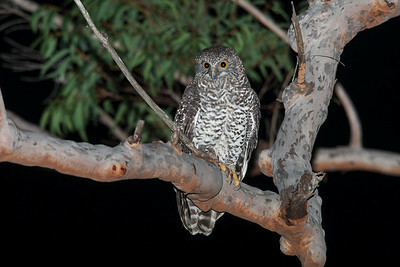 An owlet looking around while it waits for its parents. 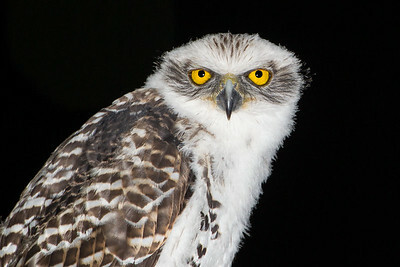 An owlet looking around the night. 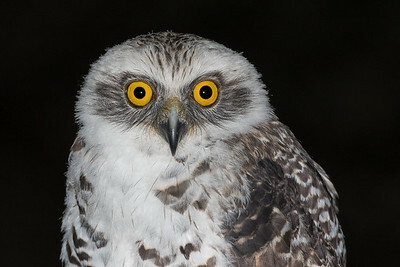 An owlet making eye contact. 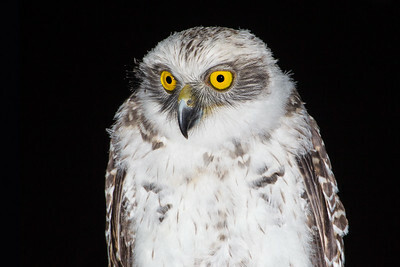 An owlet perched at night. 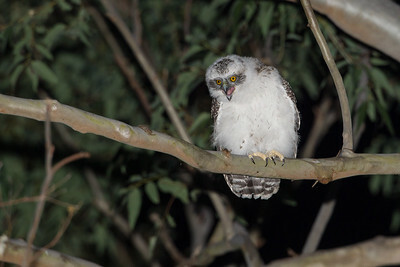 An owlet screaming for its parents to return with food. 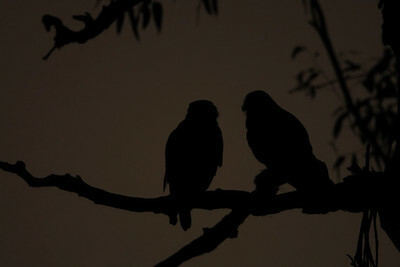 Two owlets waiting for the parents.